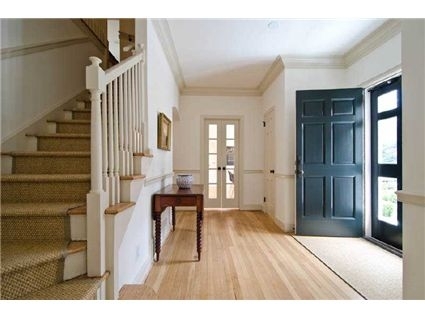 Since we are looking at Atlanta Homes this week I thought the Entry would be the first place to start. Completely classic and traditional. 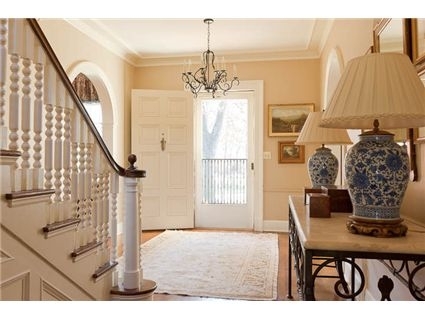 The lamps, art and beautiful staircase are my favorites in this example. 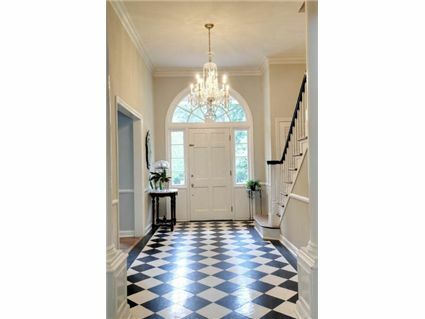 A black and white floor is always a definite winner. Classic, contrasting and never out of style. Complete contrast to the previous images but this one was so interesting and fun I had to share. Contast, check. Texture, check. Glamour, check. Lucite legs on the banquette seating, curves, angles and a hint of gold.